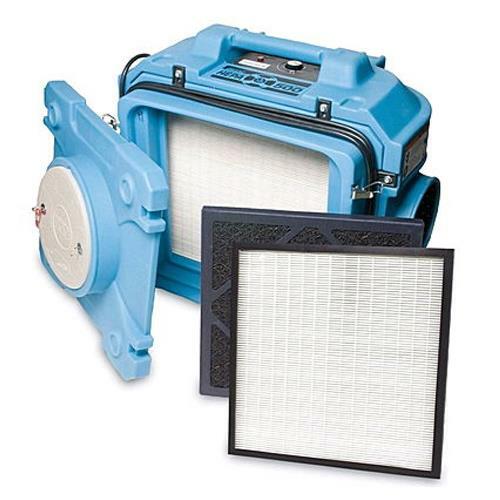 With user-friendly and versatile features, the HEPA 500 is ideal for handling indoor air quality needs on every restoration job. Any job that involves sewage, mold, or fire damage clearly involves significant amounts of particulates and smelly gasses - a direct result of the damage itself. In a water damage restoration environment, the high-velocity airflow needed for drying can stir up particulates that have settled in carpet or on other materials. Power cord length: 25 ft.
* Please call us for any questions on our scrubber air hepa rentals in Naples FL, serving Southwest Florida.